The company celebrates 13 years developing the next generation of technologists. 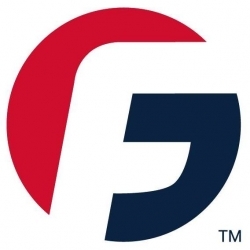 Southlake, TX, March 07, 2019 --(PR.com)-- Fenway Group celebrates 13 years in the technology services industry. On February 14, 2006, the company began as an IT consulting company and has since expanded through partnerships with select universities to further their mission of developing the next generation of technologists. One facet that was important to the company’s Founder and CEO Martin Santora from the beginning was to foster an open and supportive work environment and thus create a culture of empowerment and drive among employees. In the last seven years, Fenway Group has opened three “Centers of Excellence,” located on campus at Louisiana Tech University, The University of Idaho and Stephen F. Austin State University. Students at each location work with mentors on technology outsourcing projects for major companies across the nation. Fenway Group is the alternative to offshore technology services, providing technology outsourcing with senior and next generation technologists at select universities nationwide.